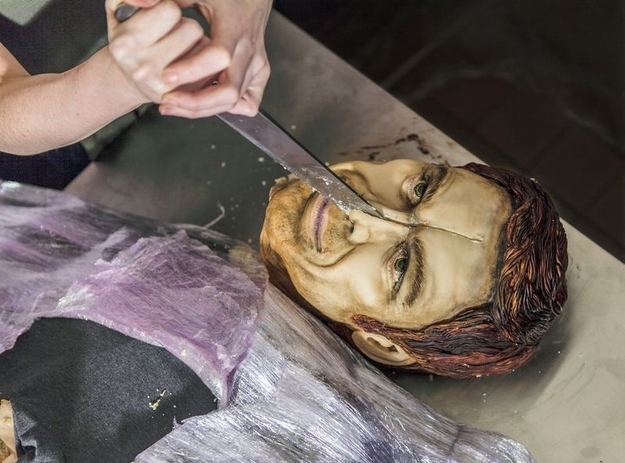 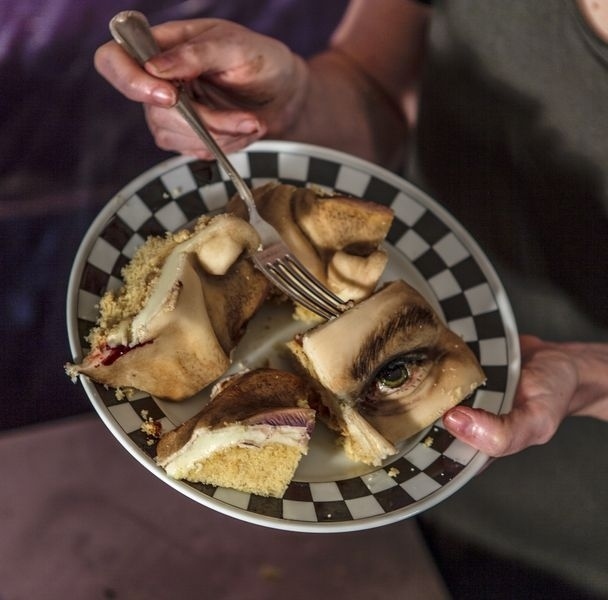 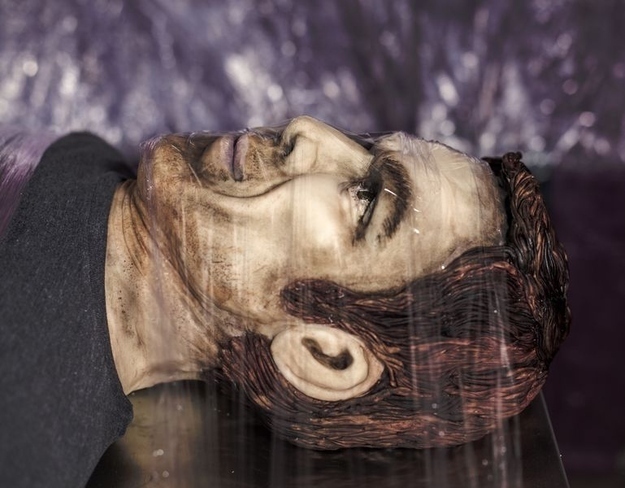 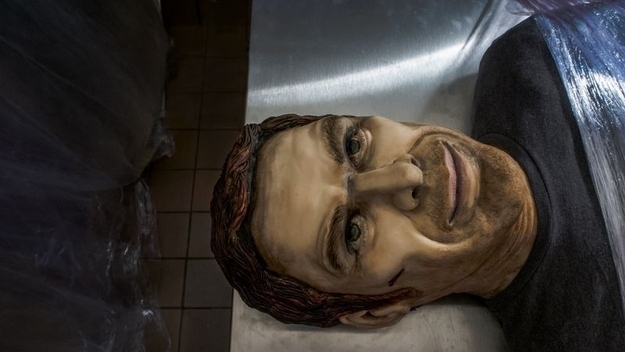 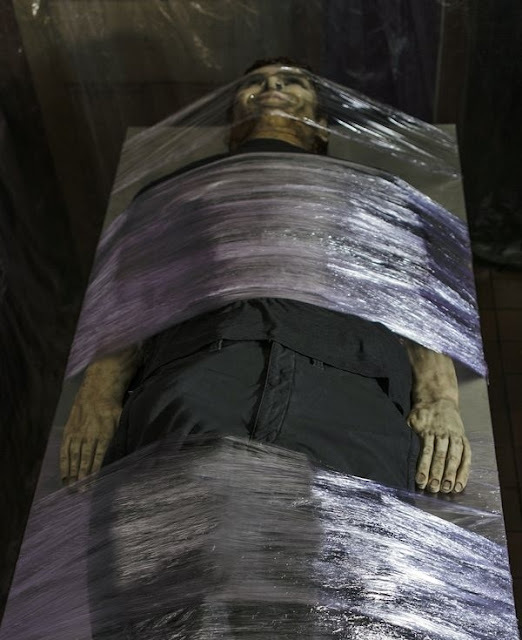 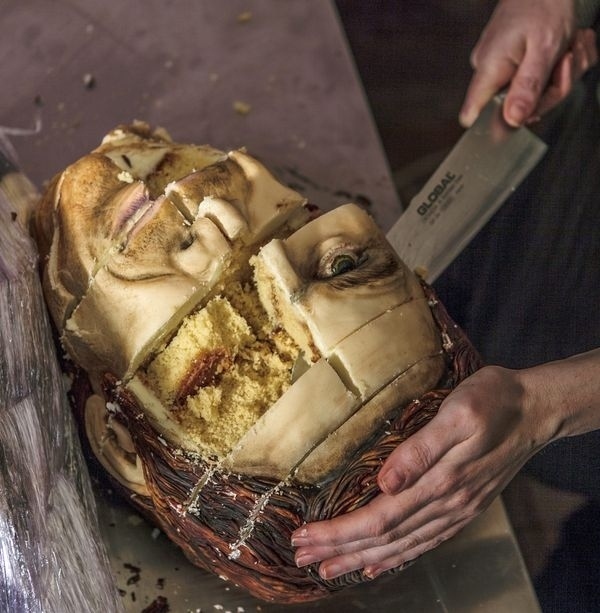 To celebrate the final season of Dexter starting on FOX UK this Sunday, a hyper-realistic full sized Dexter cake was created by food artist Annabel de Vetten. 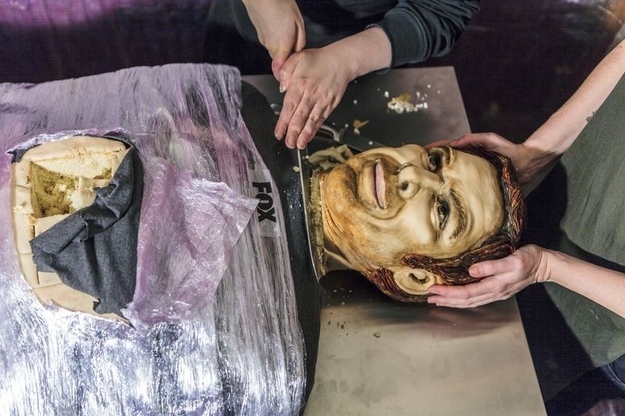 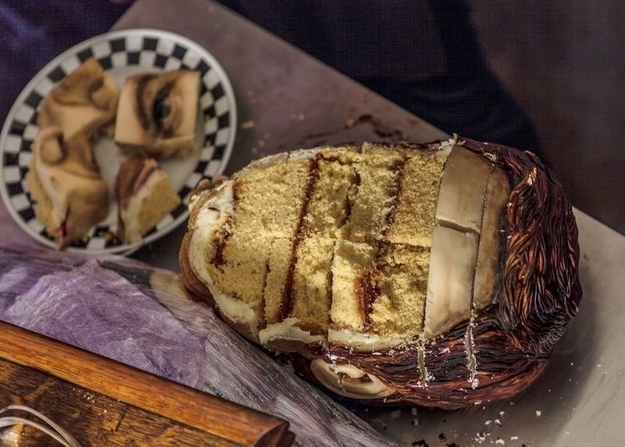 The amazing cake has the same height as Michael C. Hall (5' 10") and weighed 231 pounds, and it was made up of flour, buttercream, sugar, oranges and marzipan. 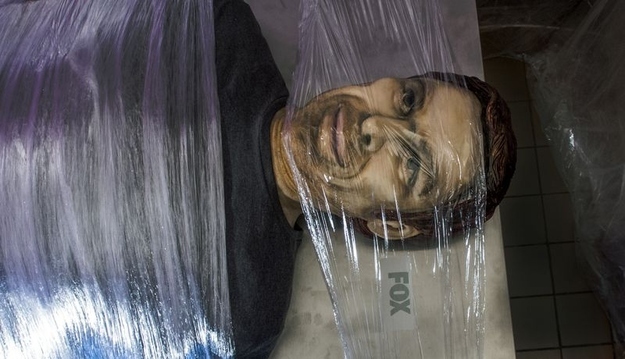 Skip the jump to view more photos!